Summer is ending and fall is soon approaching! With the colder temperatures drawing nearer, it may be time to re-evaluate your natural hair routine. Colder weather brings dryer tresses, and dry hair can lead to split ends and breakage. But not to worry! A great way to retain length and avoid breakage is protective styling! 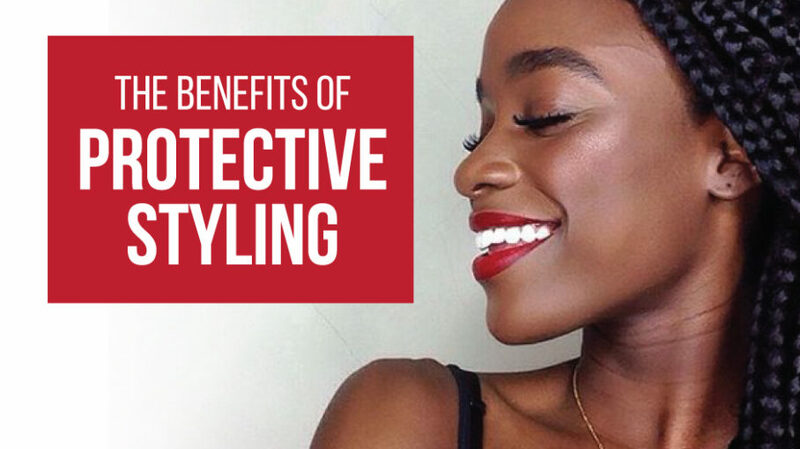 Protective styling can be any style that tucks away and protects your ends from the elements, which prevents breakage and promotes length retention. It also keeps hair from being constantly manipulated (styled), which can also cause breakage. Natural hair can be somewhat sensitive to changes in weather. Usually in colder temperatures, hair tends to break as it can become dry and lose moisture necessary for growing and maintaining healthy hair. Protective styles can shelter your hair from dry weather, as long as your hair is moisturized while in a protective style. There are several types of protective styles including buns, weaves, braids, wigs and twists. Some of these styles can keep your hair protected for several weeks, and some naturals see a lot of growth when the style is taken down. The key to this however, is that your hair is moisturized while under a protective style. If your hair is dry, and is not moisturized while in the protective style, you may actually see more breakage and split ends as a result. Remember to never install any of these styles too tightly, or for too long. Tightly installed styles can cause thinning or balding edges, and sometimes this damage can’t be reversed. When styles are installed for too long, it may cause matted, tangled hair. Be very gentle when taking down these styles, you don’t want to pull or cut your own hair, as that can cause balding in certain areas of your hair. Try not to keep a style in for longer than 60 days, and moisturize and wash your natural hair if possible. What is your go-to protective style? Let us know in the comments below!